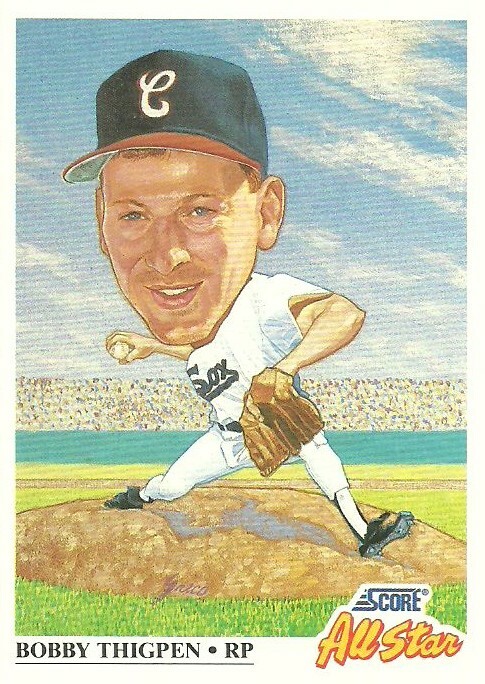 Last Friday my boss gave me a small bag with about 200 sports cards in it. 95% were baseball and the rest were football. 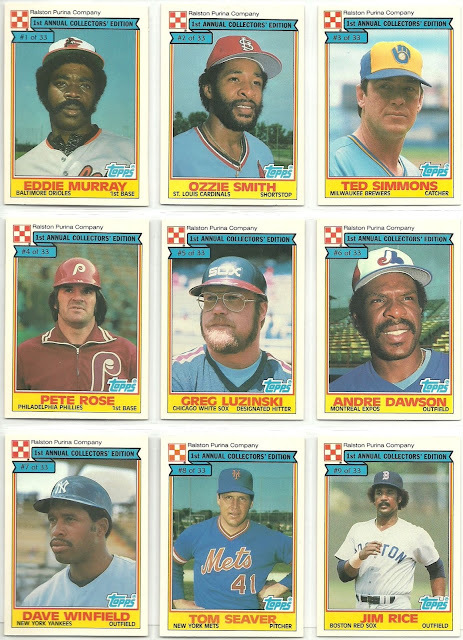 My boss is a big sports fan and used to collect cards. 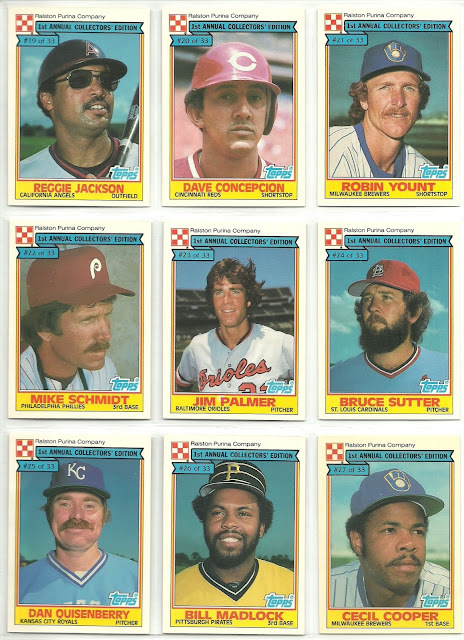 From talking to him about it, I think he was more of a flipper than a collector, but someone had given him this bag of cards that they had gotten at a yard sale and he knew I would enjoy it so he passed it on to me. 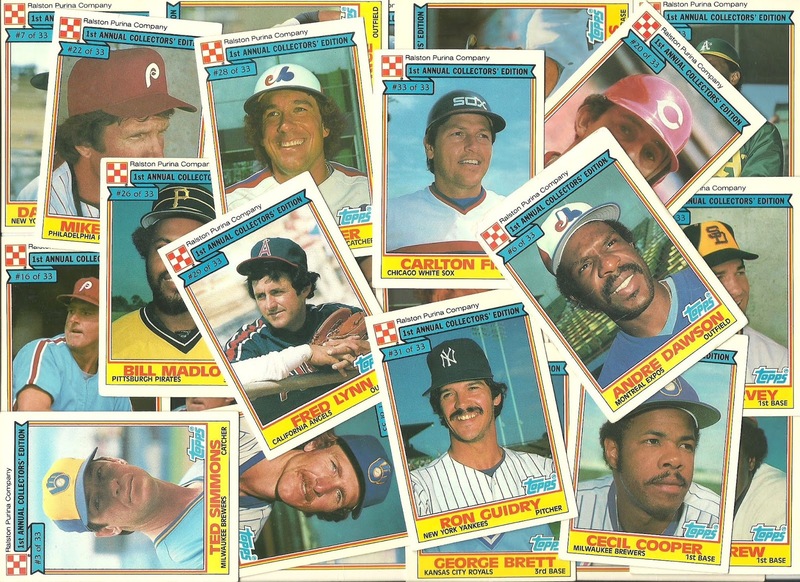 Out of the two hundred or so cards, about half were dinged or damaged. 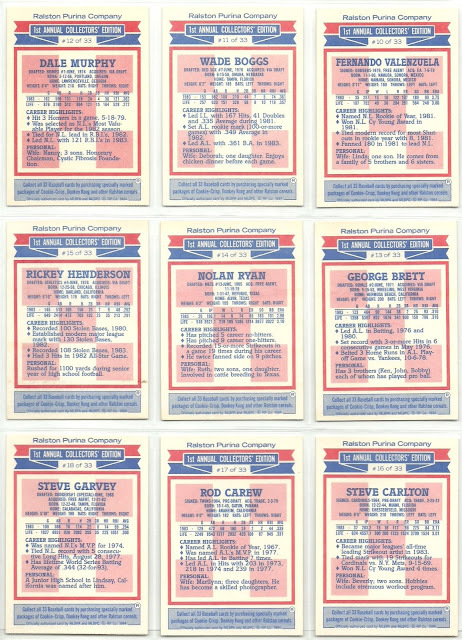 The cards ranged from 1981 - 2011 and consist of mostly star and semi-star players. 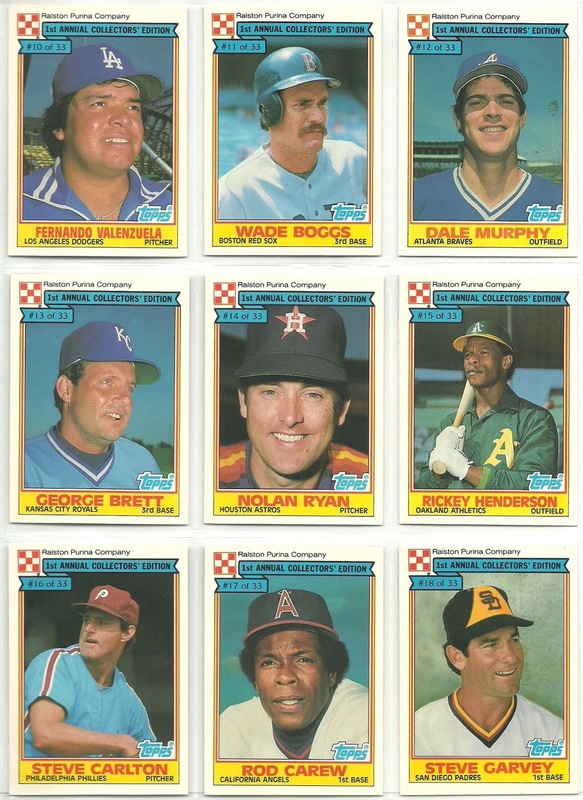 Nothing of great value, but some fun cards to go through. Here's a look at 5 of my favorites. 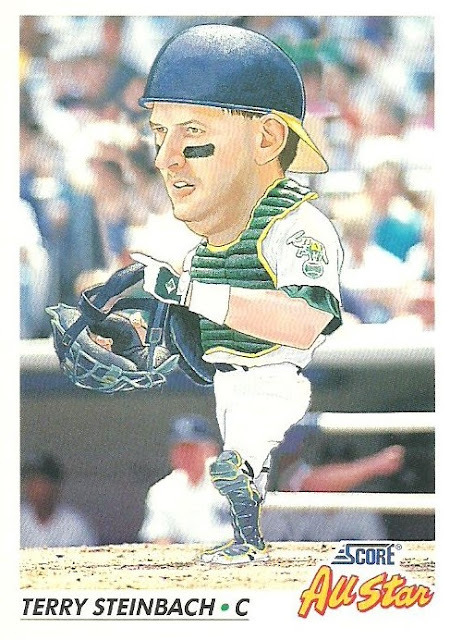 This is probably my favorite card from the batch. 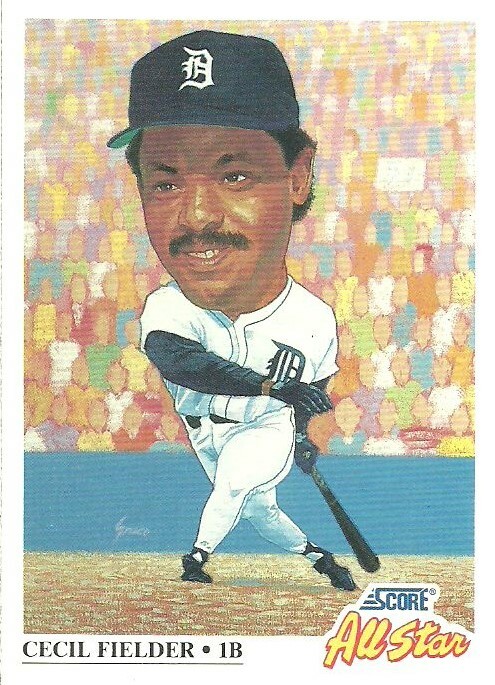 I had never seen one before that I can recall. 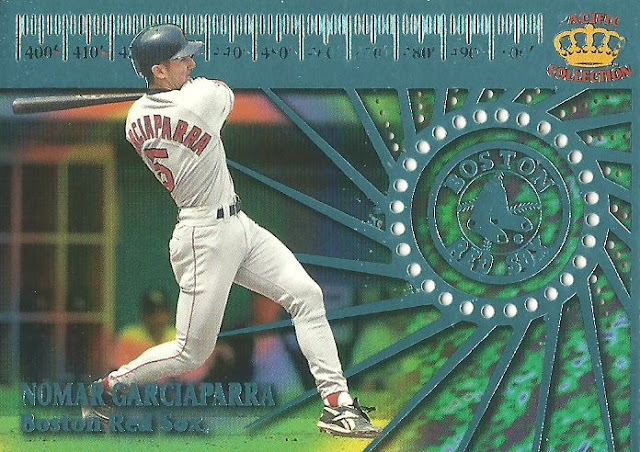 It's a 1999 Pacific Crown Collection Tape Measure insert card of Nomar Garciaparra. This thing is fantastic. 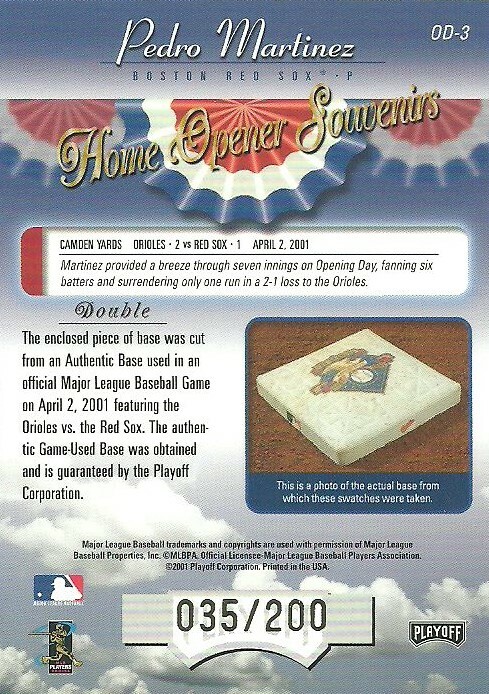 The lines at the top are all die cut as well as the circles around the Boston Red Sox logo. 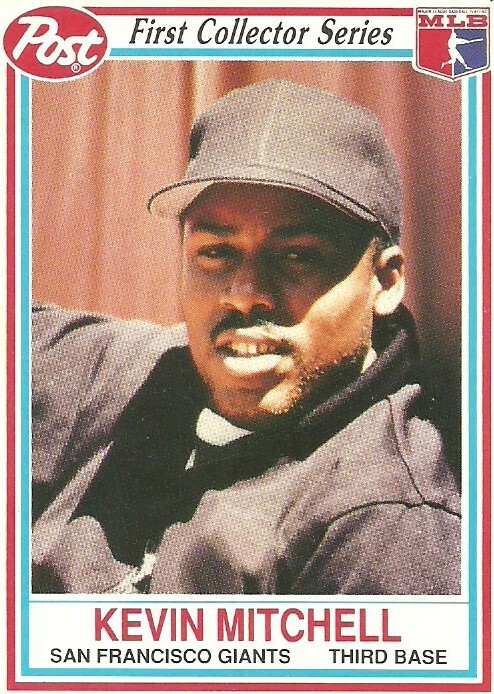 It's not numbered, but baseballcardpedia.com tells me that these were issued at a rate of 1:73 packs. 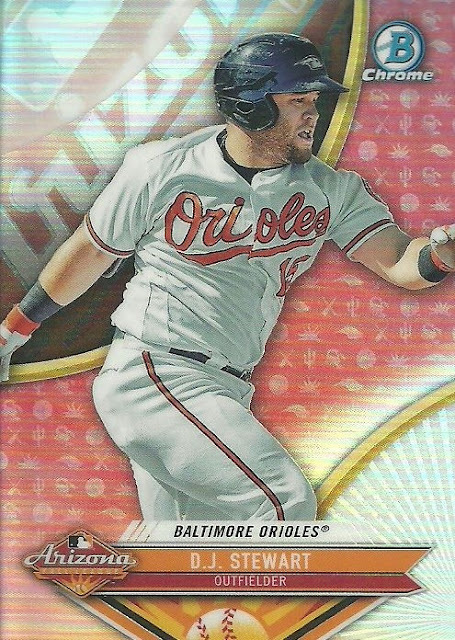 The card has some issues with the foil, but it's still great and I'll be on the look out for more from this set if I can find them cheap. 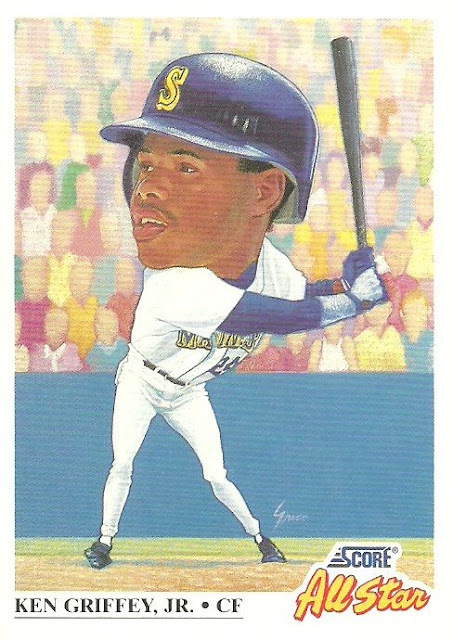 That might prove difficult as the only Griffey on comc.com right now is listed for $49.25. Next up is a 2009 Allen & Ginter card featuring Old Faithful. 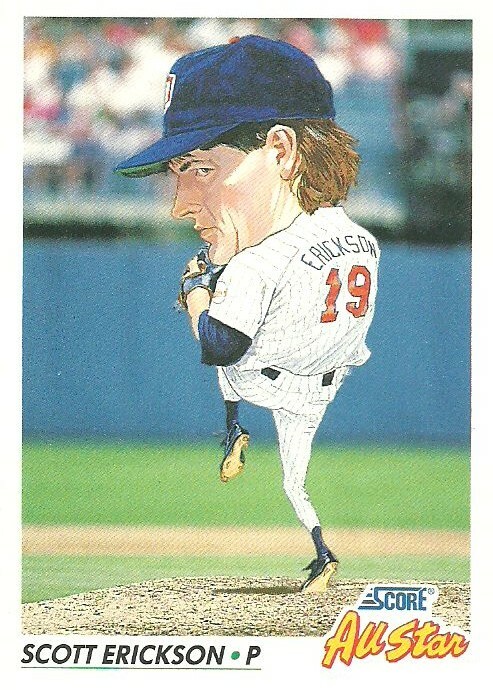 I didn't realize that this cards existed until now. To me it's cool because last summer my family and I went on an epic road trip and we visited Yellowstone and Old Faithful. 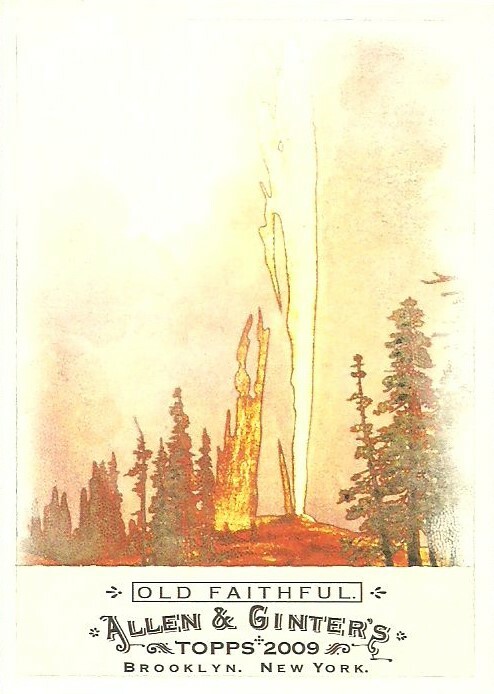 They must have used an old photo for the card because there aren't trees that close to the geyser at present. 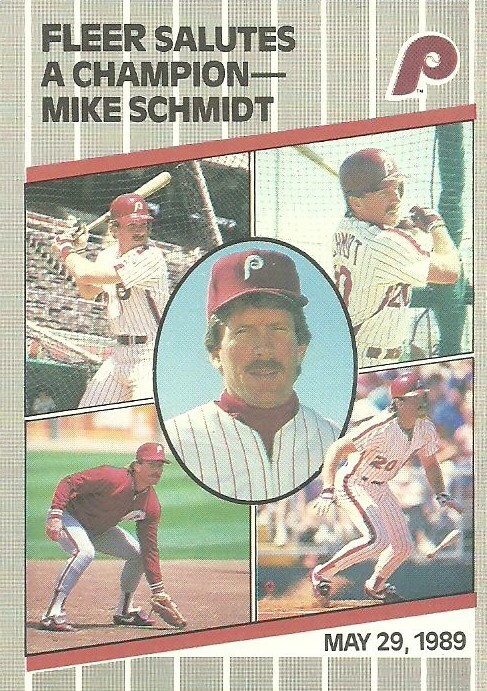 I thought I was familiar with the 1989 Fleer set pretty well, but I wasn't familiar with this 1989 Fleer Mike Schmidt tribute card. Turns out it's because it's from the Update set. 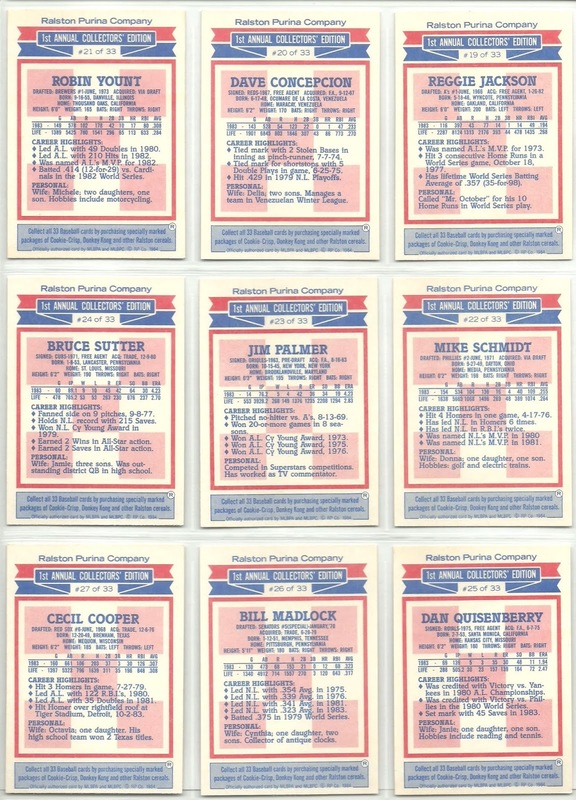 The small collection contained a few sleeved cards of Carl Yastrzemski and Robin Yount. Since they were sleeved, they were all in pretty good shape. 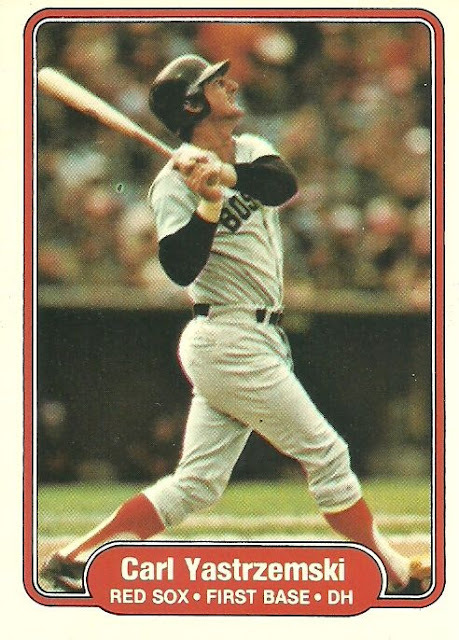 Here's a 1982 Fleer Yastrzemski containing a great shot of Yaz swinging the bat and admiring his own blast. 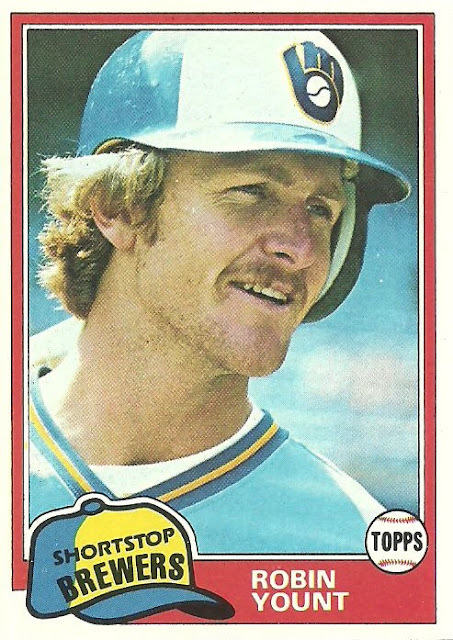 Here's a 1981 Topps card of Robin Yount with an up close head shot of a Hall of Famer in his prime waiting for his turn for batting practice. Today marks the 30th anniversary of the first night game at Wrigley Field. The first night game was supposed to be played on 8/8/88 but the game was suspended during the 4th inning so it didn't count as an official game. 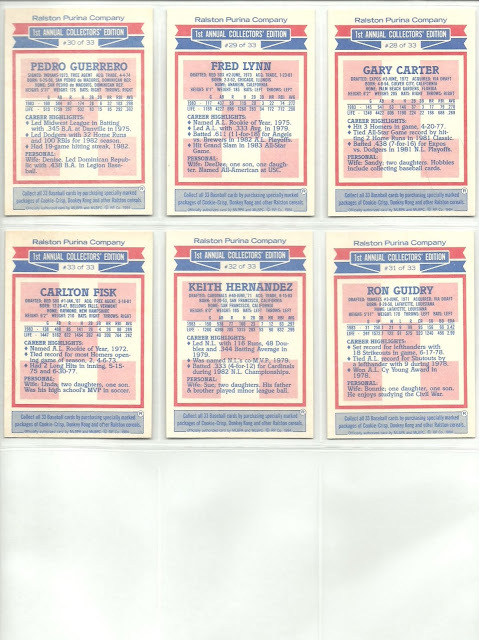 The next night, on 8/9/88, the first official night game at Wrigley Field took place. 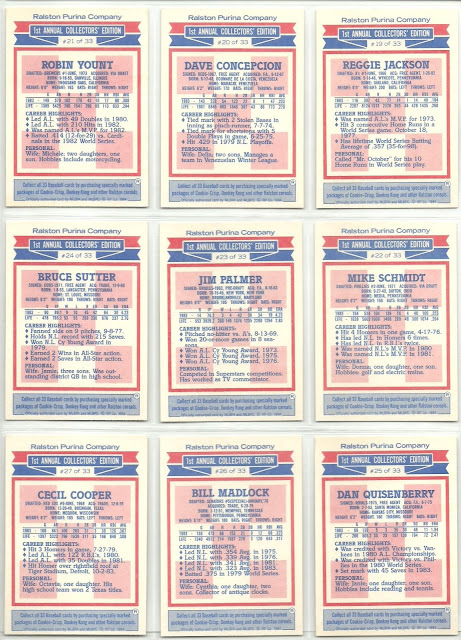 Roughly 5 years ago I set out to get a 1989 Score card commemorating the game signed by every Cubs player that played that night. I'm just one player shy. It's not Hall of Famers Ryne Sandberg, Goose Gossage, or Andre Dawson. 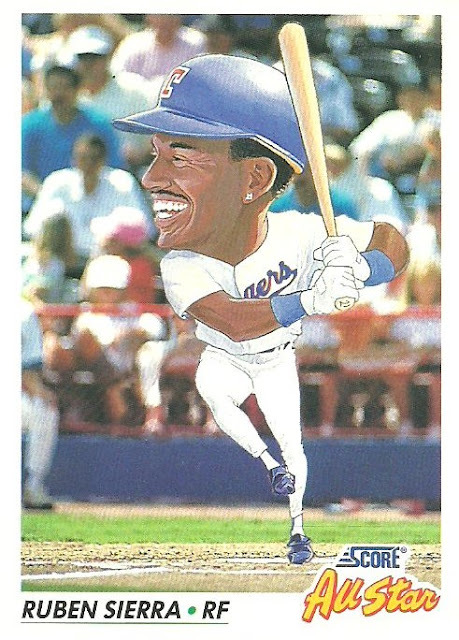 It's not even a star player like Rafael Palmeiro or Mark Grace. I still need Damon Berryhill. 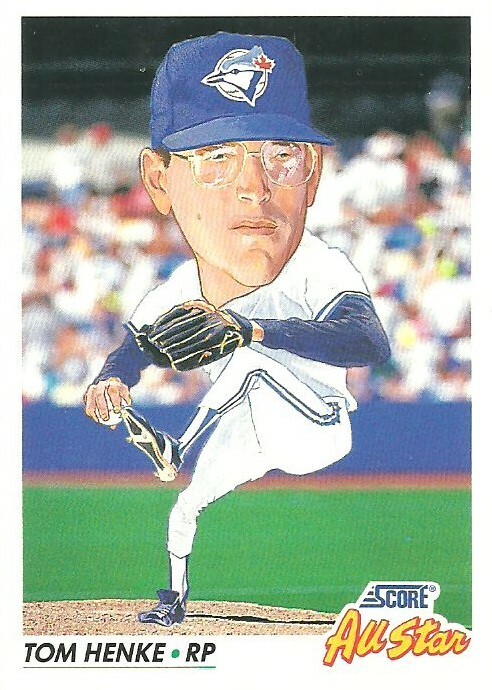 I've sent ttm requests to Damon Berryhill on multiple occasions over the years including 2 earlier this year. 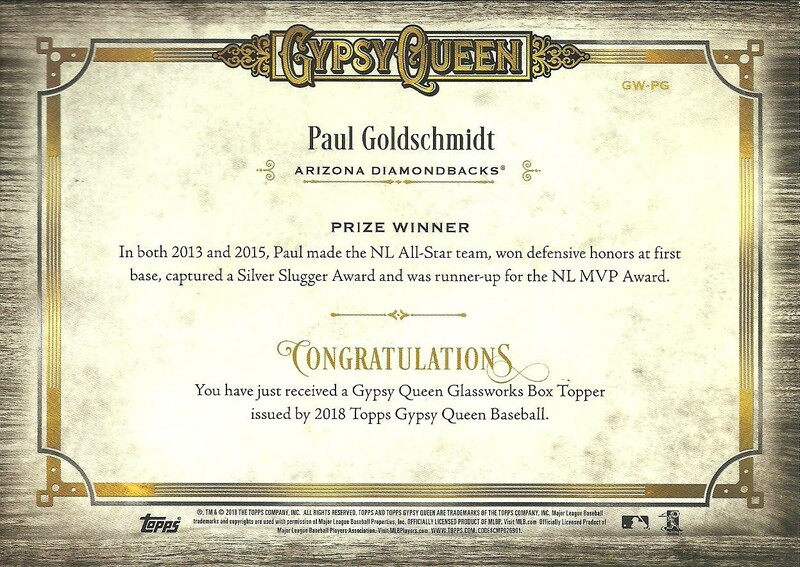 One was sent to Braves Spring Training and the other sent to the minor league team that he manages, the Gwinnett Stripers. No luck so far with Berryhill, but here is everyone else. 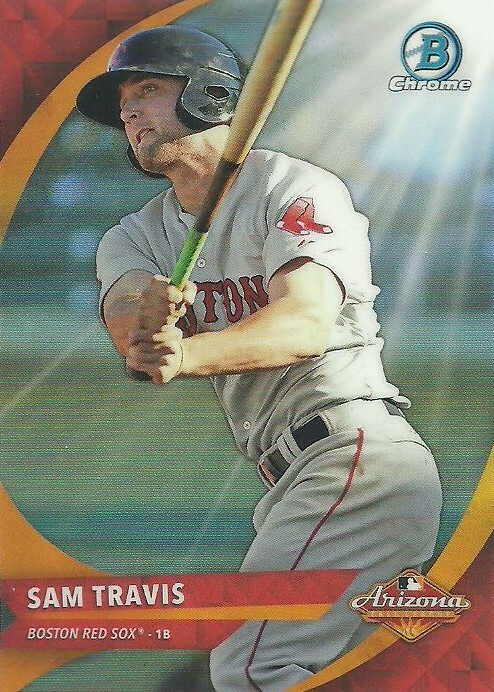 I was digging through a $1 box the other day at a card shop and I found this card. 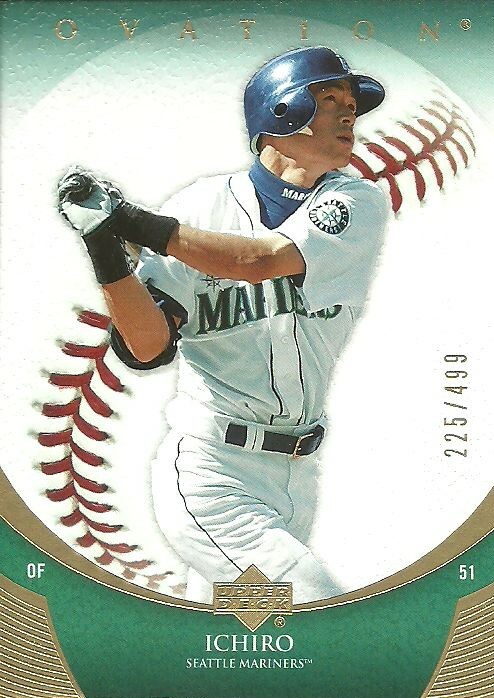 It's a 2006 Upper Deck Ovation gold parallel of Ichiro. I really miss Ovation and the Upper Deck brand in general. 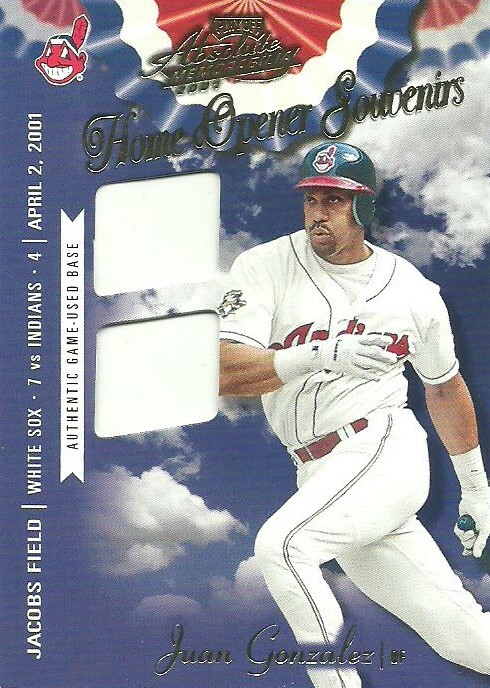 If you aren't familiar with Ovation the cards are embossed and have a great texture to them. 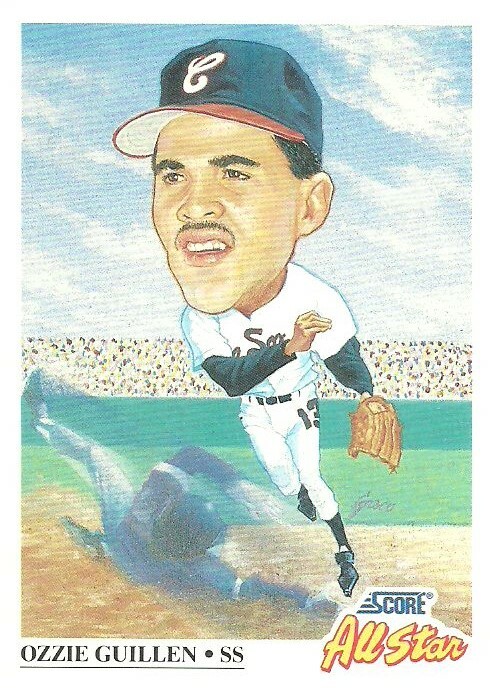 The stitches of the ball as well as the player photo all stand out. The regular base cards feature silver foil, so for the gold parallels all the silver foil is replaced with gold foil and it's serial numbered on the right side to 499. These gold parallels were inserted at a rate 1:18 packs. There were only 18 packs per box, so that makes these parallels one per box. 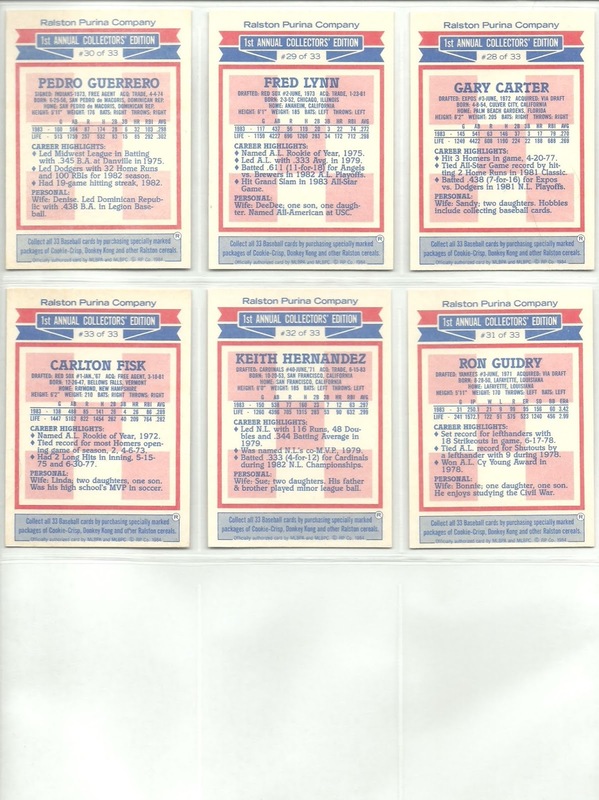 The set contains 126 cards, but the last 42 are a rookie subset and the gold parallels of these are autographed and numbered to 99, so there are 84 cards that have a gold parallel numbered to 499. 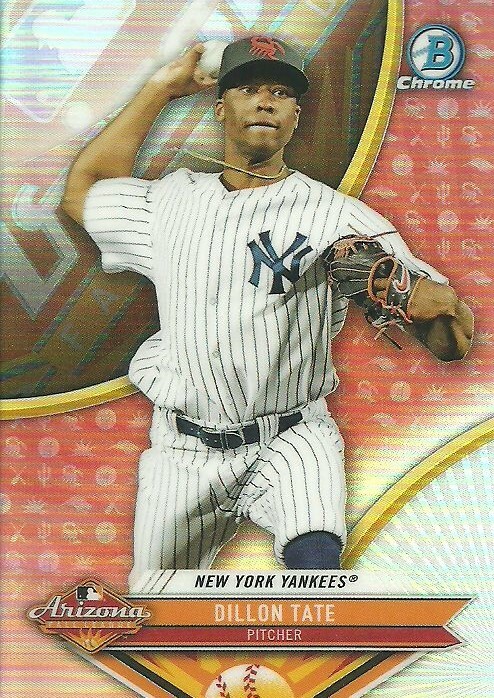 This means if you bought 84 boxes you might get one of these gold parallels of Ichiro. Ichiro called it quits earlier this year and put an end to an amazing career that included 9 seasons in the Nippon Professional Baseball league in Japan and 18 years in Major League Baseball. 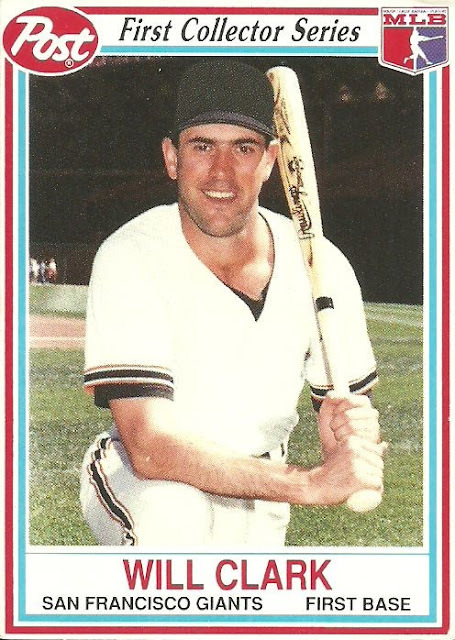 He's a first ballot Hall of Famer in my opinion and I'm happy to add this card to my collection. 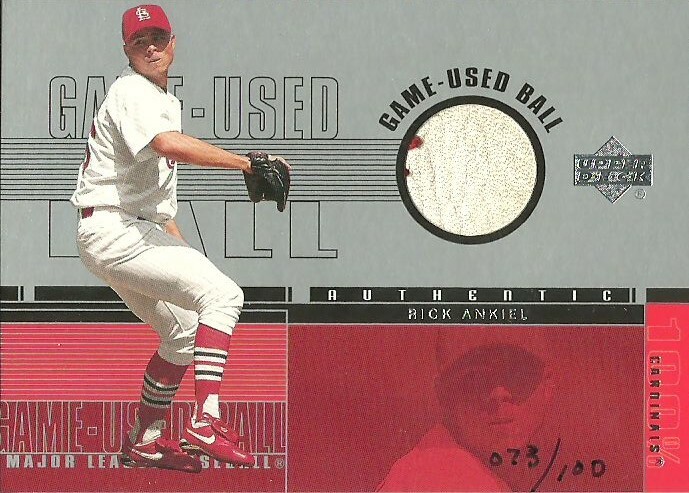 I love coming across unique relic cards from the late 90's and early 2000's. When they are a bargain, even better! Each of these set me back just $2, the price of a pack of 2018 Topps. 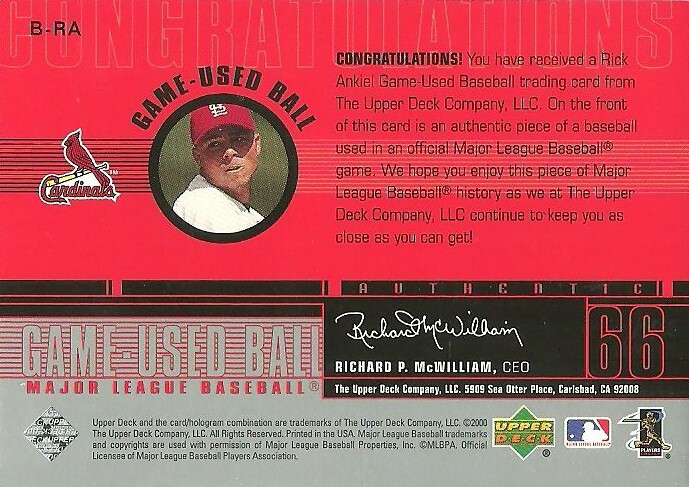 Check out this 2001 Upper Deck Game Ball featuring Rick Ankiel. I didn't even realize until I scanned it that it was hand numbered 073/100 on the bottom right hand corner of the front of the card. 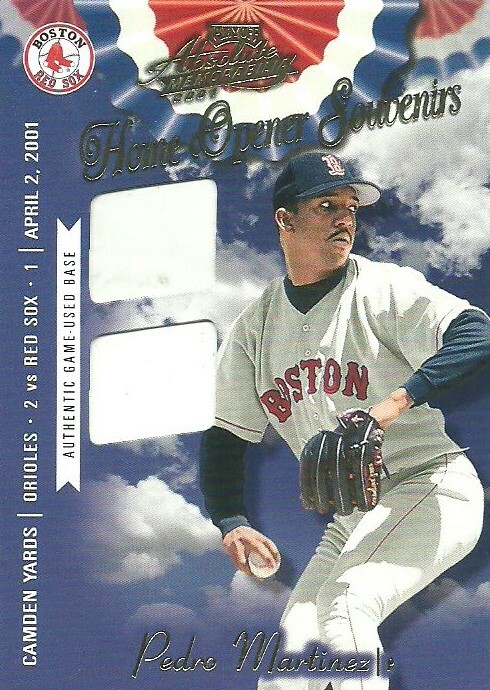 Next up are two different 2001 Playoff Absolute Home Opener Series cards featuring Pedro Martinez and Juan Gonzalez. 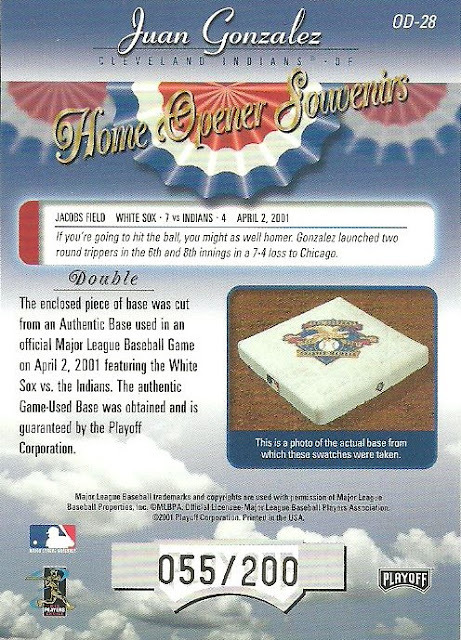 Both of these are the double version, meaning two pieces of base and are numbered to 200. The backs showcase a picture of the actual base and a nice recap of how the featured player performed in the game. 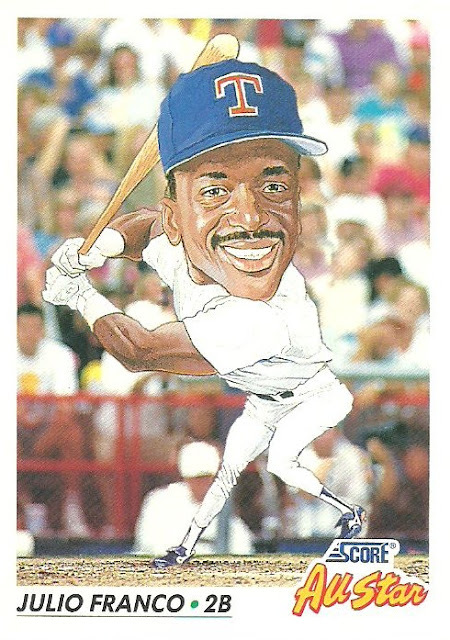 These came in five different variations (single, double, triple, home run, and autographed). They were numbered to 400, 200, 100, 25 and 25 respectively. Not every card contains an autographed version. What do you prefer jersey and bat relics or something a little different like a ball or base? When I rummage through boxes filled with cards for 15/$1 it's often hard to resist adding cards to my collection. 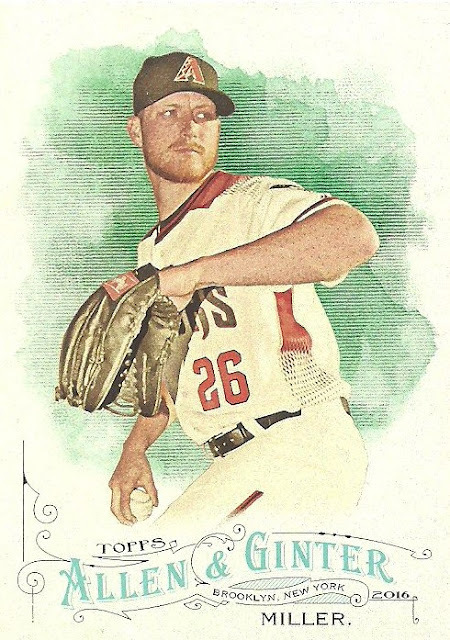 I was born in Arizona and except for 2 years I spent living in California when I was 19 - 20 years old I've always lived in Arizona and so I have a love of all things Arizona including the Arizona Fall League. I've gone to Arizona Fall League games over the years. Great place to see lots of young talent. 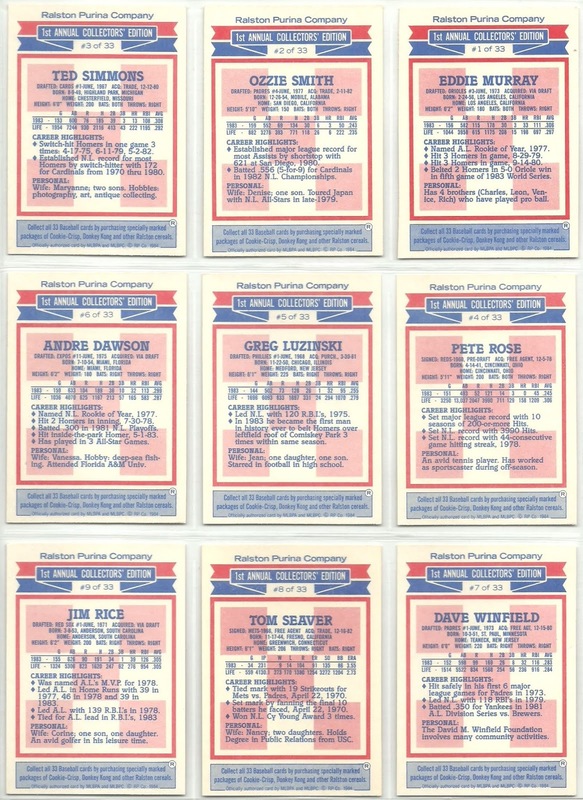 The list of stars that have played in the AFL is impressive. 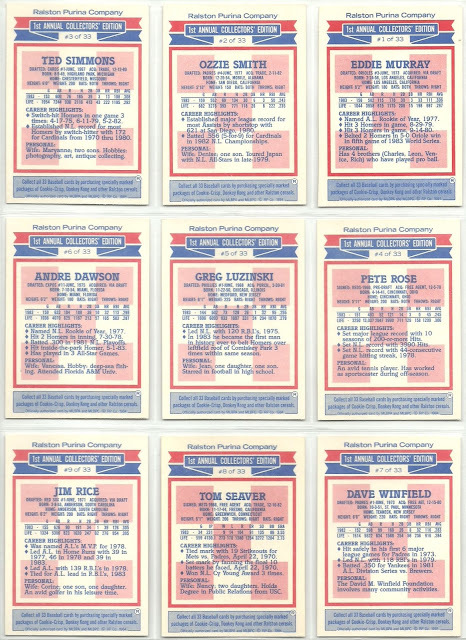 Players like Mike Piazza, Derek Jeter, Albert Pujols, and Mike Trout. When I came across these Arizona Fall League cards I decided to pick them up. 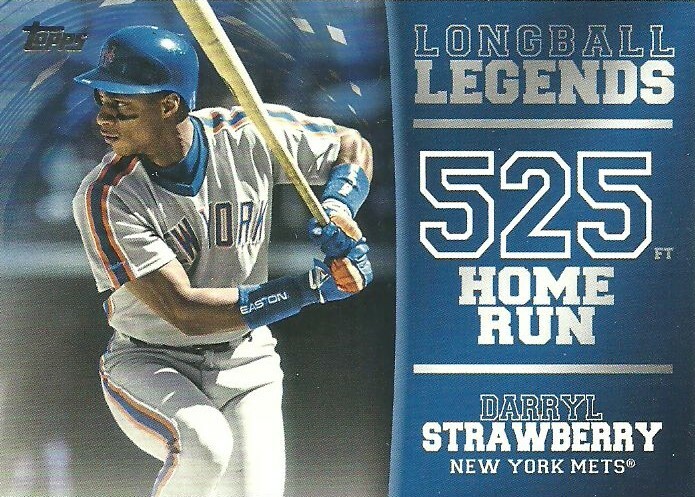 With 21 cards in each set this leaves me only needing 36 cards to complete both sets. This will be a long term project. I've added them to my Needs list. 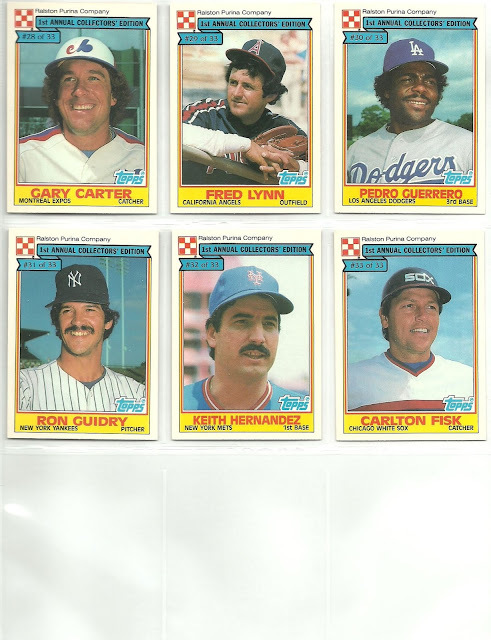 I recently picked up some 15/$1 cards at one of the card shops I frequent. 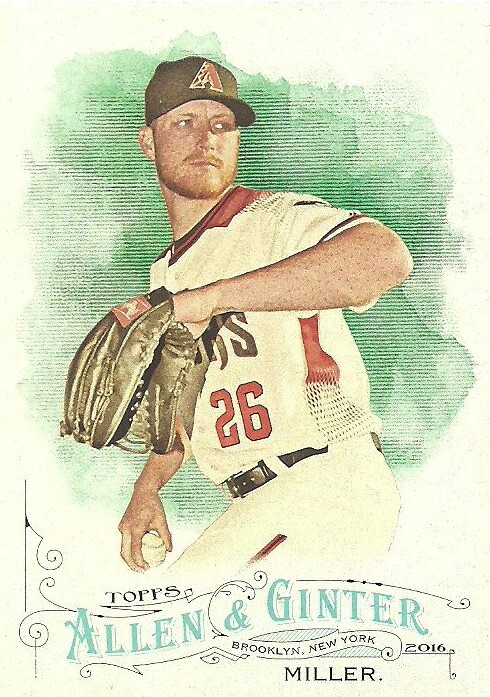 I should have looked at my Needs list before making the purchase because I could have avoided picking up a couple extra cards, but I was pleasantly surprised to find out that not only did I need three out of the five 2016 Allen & Ginter cards that I purchased, but all three were short prints. 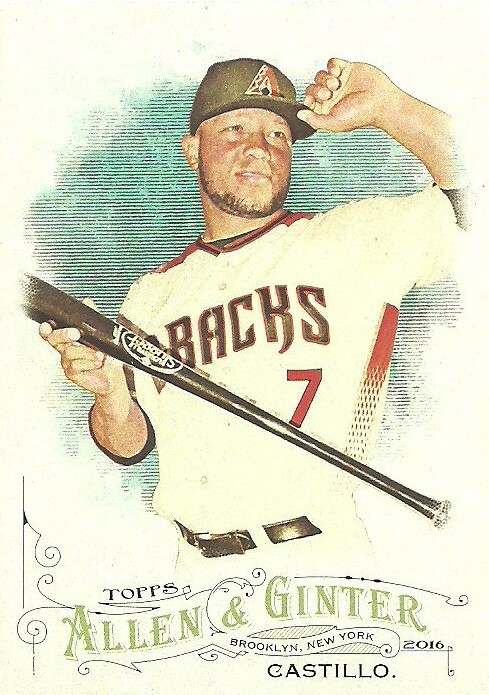 I still need 3 additional short prints for the Diamondbacks team set from that year. 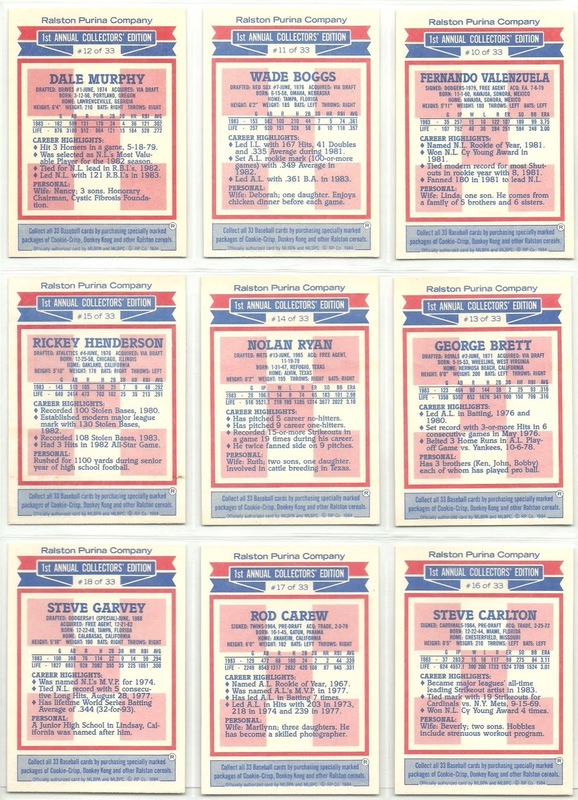 6 short prints for one team seems a bit extreme, but what are you going to do. Maybe I'll find the last 3 in a 15/$1 box someday. I can afford 7 cents each. P-Town Tom sent me a one card package out of the blue the other day and the one card is absolutely stunning! 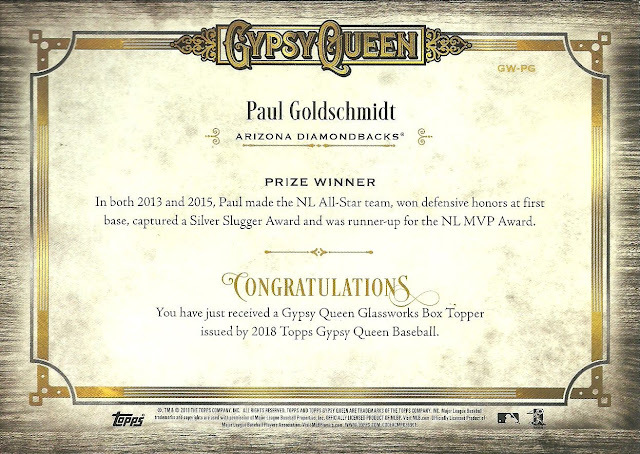 These 2018 Gypsy Queen box toppers are amazing! When I first saw them online I thought they might have actually been glass, Even though they are cardboard and not in fact glass, they are "freaking beautiful"! 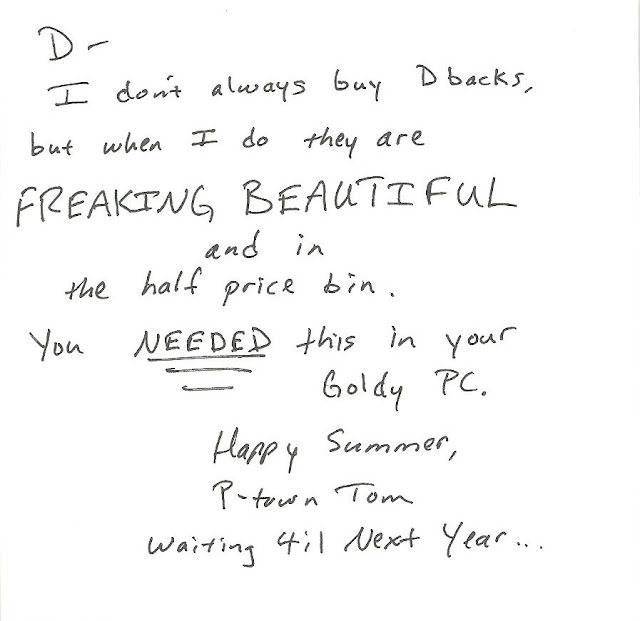 Here's the note that Tom sent, which I love almost as much as the card itself. 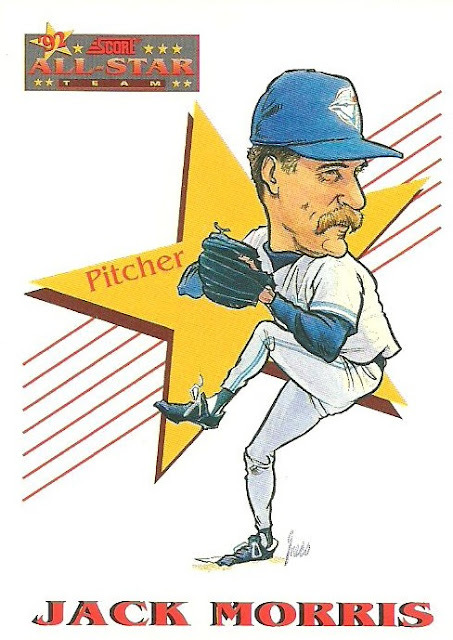 Written on the of a Chicago Cubs page-a-day calendar, Tom mimicked the Most Interesting Man in the World, which even though I don't drink, I love those commercials. The card is "FREAKING BEAUTIFUL" as Tom so elegantly put it and I am extremely grateful to Tom for adding it to my Goldy PC, because I NEEDED it! 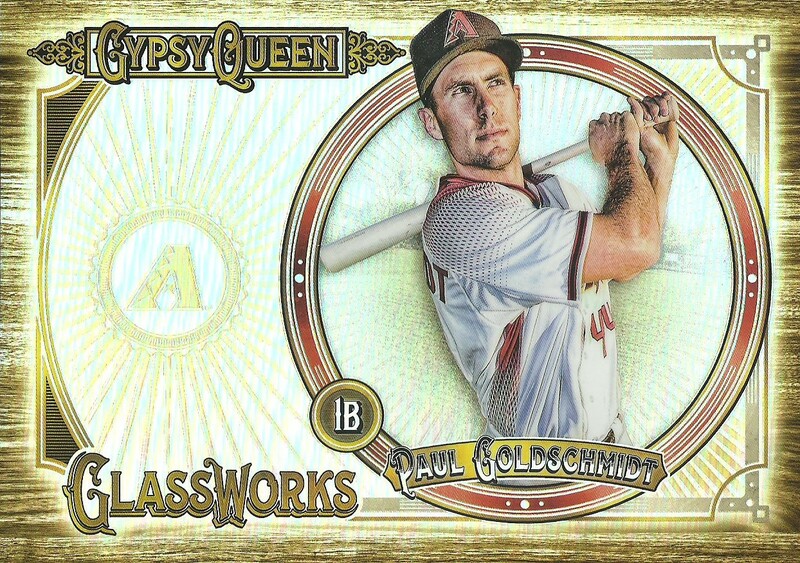 I mentioned in a recent post that I'm not going to try to accumulate every Goldschmidt card out there, but will only go after cards that I find appealing and this is one of those cards. Thank you so much Tom! 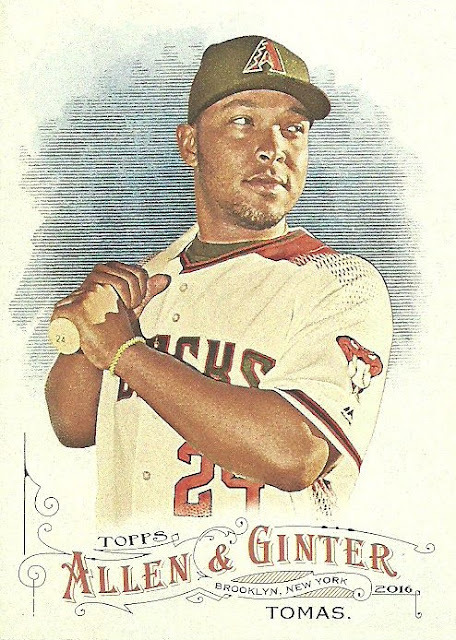 Yesterday I posted about a couple of hits I pulled recently from 2018 Topps Series II. 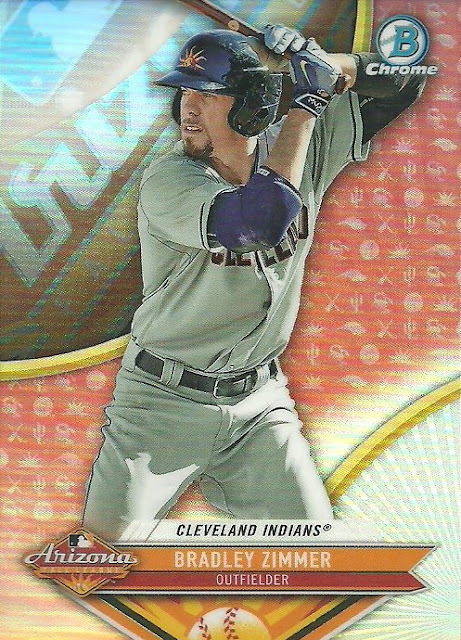 I didn't realize until I was putting the rest of the cards away from those packs that I had another "hit" if you will. And it came in the same pack as the Sonny Gray. 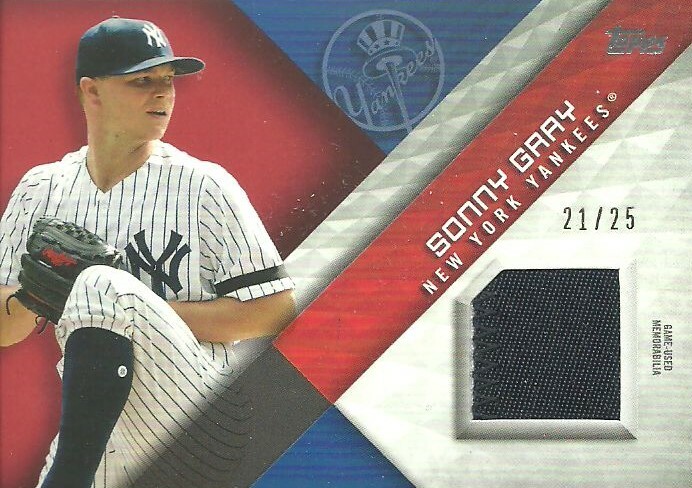 The Sonny gray is so thick that there were actually only 3 cards in the entire pack. ... and this Darryl Strawberry Longball Legends blue parallel, which is not numbered but is listed at 1:223 packs. How crazy is that? 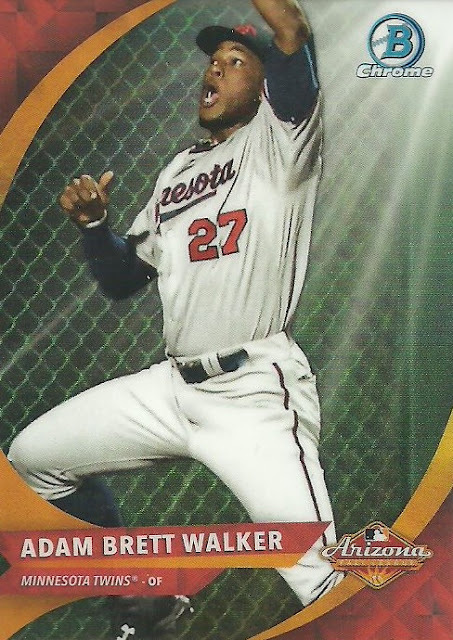 Only three cards in the pack and one of them was 1:5,232 and another was 1:233. 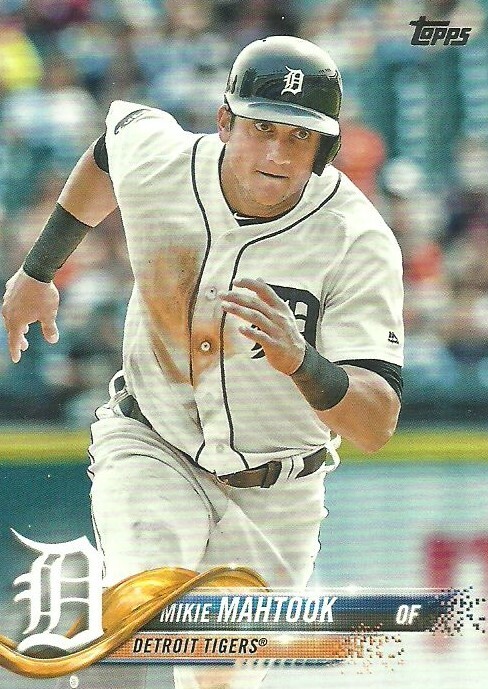 I double checked the Mahtook to make sure it wasn't a short print or parallel of some sort, but it looks like it's just a base card. Anyone else every have a pack like that? In the last two weeks I've picked up a a few packs of 2018 Topps Series II. On two occasions I've bought 3 packs from a card shop (two different card shops). 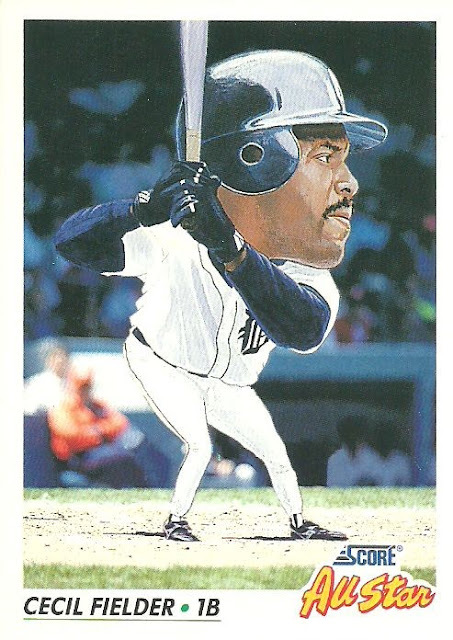 Each time I've gotten a "hit", although the "hits" haven't been all that great. First up is this red relic card numbered to 25 which, if I'm reading the odds correctly, are a 1:5,232. The problem is that it's of Sonny Gray, who is having a terrible year. To make matters worse, the one color patch fills 99.9% of the space and you can barely even tell it's a patch. In my second purchase of three packs I defied the odds once again and pulled a 1983 Topps Baseball auto at the odds of 1:1,233 packs. 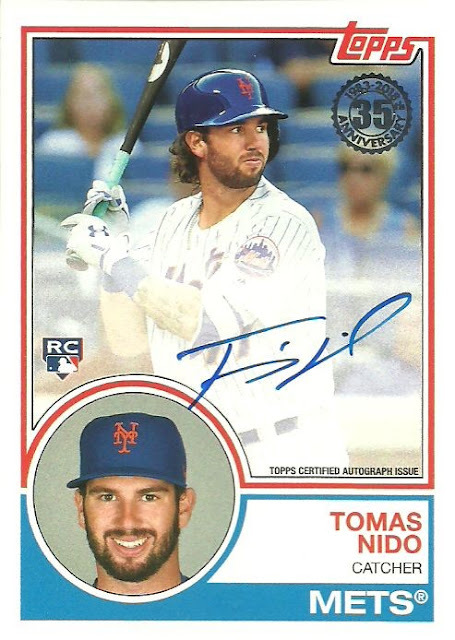 Another nice pull, but I've never hear of Tomas Nido. After a little research I see that Nido made his major league debut earlier this year, so we'll see how it goes. 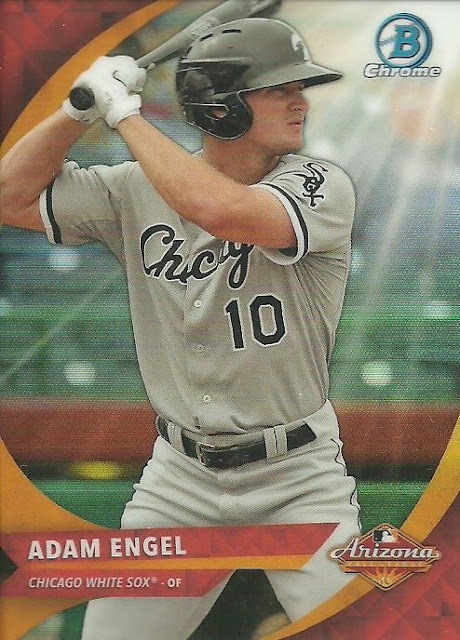 Don't get me wrong, it was fun to pull some hits out of a couple random packs, but for me the experience of pulling them is worth more than the cards will probably ever be. How about you, what's your worst, best pull?